The Crest @ Prince Charles Crescent by Wing Tai is located at Prince Charles Crescent, Singapore District 10, – a prestigious Residential Development that heads you to convenient life. If you are a nature lovers, you will surely love the mature trees and lush greenery insured in this tranquil vicinity. The Crest delivers 469 residential units from 1 bedroom to 4 bedrooms and penthouses. Intelligent and winning plan homes that'll alive all your senses like never before. A contemporary culture that differentiate itself from its venue, The Crest features a connection bridge among modernity and heritage with its architecture wandering consistently surrounded by pleasant scenery and pleasure that combine its surrounding. The convenience of owning a piece of Singapore greatest estate is incomparable, a definite blend of pleasure and happiness. For the intelligent seekers who are looking for a condominium in a selected vicinity with top-notch quality, your hunt stays here, at The Crest @ Prince Charles Crescent. Spend quality time with your loved ones and family with impressive adventures at The Crest. If you desire to shop, do recreational activities, and dine, it will for sure not a problem considering other amenities are established obtainable such as Tiong Bahru Plaza, the Great World City, the Valley Point Shopping Center, the Valley Point Shopping Center, Linear Park, the Alexandra Canal, and the Delta Sports Hall and Swimming Complex. The establishment is as well near to distinguish locations include Southern Waterfront Area and Marina Bay Sands. The Crest is just a short drive to Orchard Road and Central Business District (CBD). Coming occupants of The Crest condominium will also experience to savour the favorable path to all part of Singapore with Redhill MRT, Orchard MRT, Queenstown MRT, and Tiong Bahru MRT Stations right at your doorsteps. Neighboring to Central Expressway (CTE) and Ayer Rajah Expressway (AYE). If you are looking for good educational institutions nearby the place, Queenstown Primary and Secondary School, Gan Eng Seng Primary and Secondary School, Zhangde Primary School, River Valley Point, Outram Secondary School, Oversea Family School, ISS International School, and Finnish Supplementary School are just a stone's throw away. 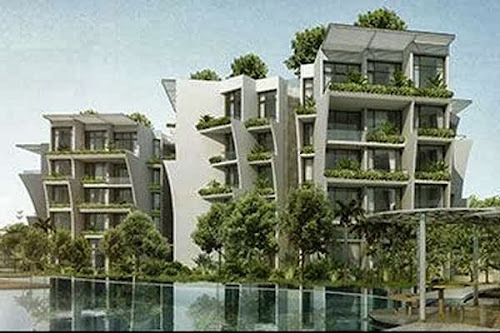 visit http://www.propertylaunch.biz/2013/11/new-launch-condos-district-09-to-11.html for the latest residential properties in Singapore.